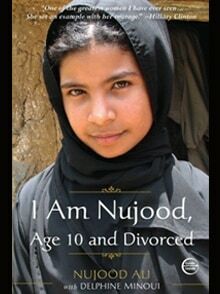 Nujood Ali’s childhood came to an abrupt end in 2008 when her father arranged for her to be married to a man three times her age. With harrowing directness, Nujood tells of abuse at her husband’s hands and of her daring escape. With the help of local advocates and the press, Nujood obtained her freedom—an extraordinary achievement in Yemen, where almost half of all girls are married under the legal age. Nujood’s courageous defiance of both Yemeni customs and her own family has inspired other young girls in the Middle East to challenge their marriages. Hers is an unforgettable story of tragedy,triumph, and courage. Do you have more information about Nujood? I am doing a research project about her and would love help in finding more resources. Thank you!